Imagine that you have entered your crypto wallet and noticed that your account has been wiped clean and several transactions to unfamiliar addresses have been made. You’ve been hacked. Due to the “virtual” nature of cryptocurrency ‘ownership’ is determined by whoever holds the codes for it. So, if it’s gone – it’s gone. You may track the address of the last wallet but it will give you nothing. You notify your exchange – but at the end of the day you have been scammed. And there is nothing you can do about it. There are many ways Crypto bad guys can access your account, but one of the most common fraud MO’s is to gain your username/password. And many mobile wallet providers still use passwords as an authentication methodology. Crypto hackers pray on the vulnerability of people and often use phishing tactics to swindle good people of their username/password. Such bad guys can send you a fake email from behalf of your wallet service, comprising a bogus URL, which may differ from the genuine URL by one or several letters. Alternatively, crypto creeps can redirect the right URL to fake URL when you’re entering the online wallet. Another attack MO that has led crypto wallet users to inadvertently forfeit their username/password is SIM SWAP. Criminals usually obtain access by exploiting mobile operators’ ability to port any mobile number onto a blank SIM card. 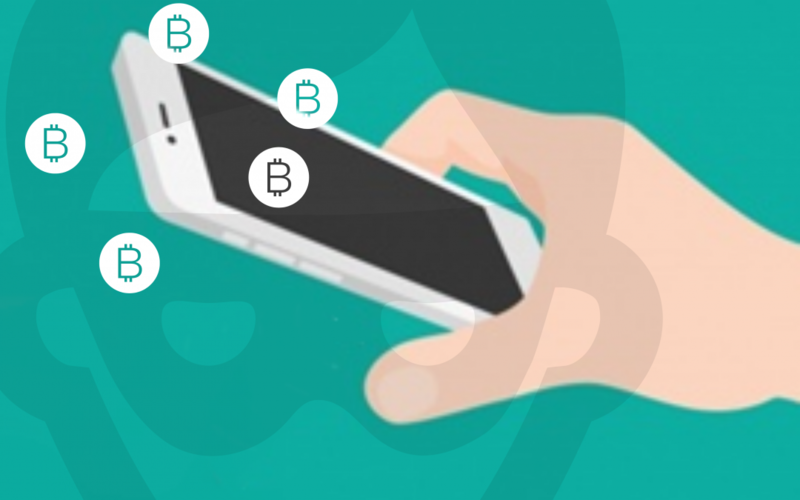 This method allows hackers to gain-hold of customers’ username/password meaning free access to their crypto account. Yes, username/password has become one of the weakest links in the Crypto wallet login process. 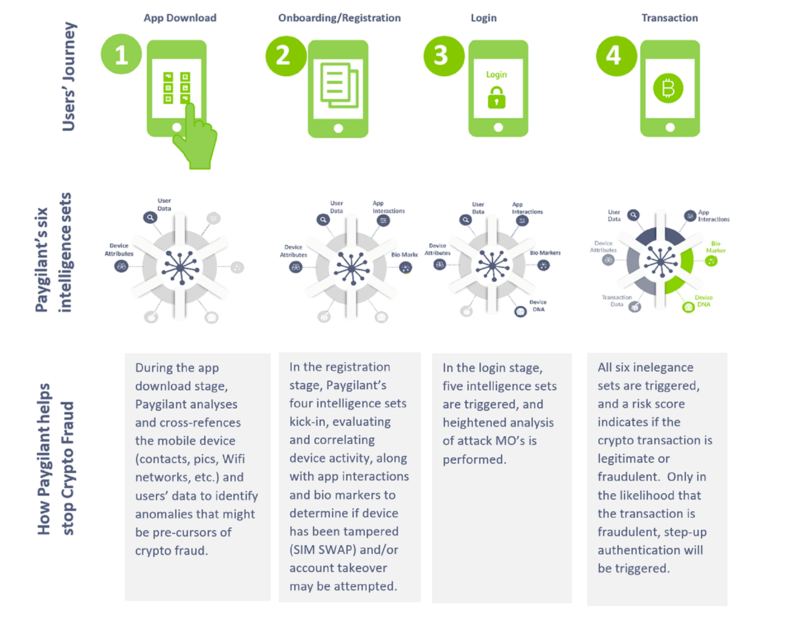 Paygilant provides comprehensive security throughout the crypto wallet users journey, anticipating and preventing fraud at multiple checkpoints. Paygilant’s six intelligence sets work as layers, using a combination of behavioral biometrics, device fingerprinting and transaction data to stop crypto fraud.